Angelcots | Keep It Up, David! 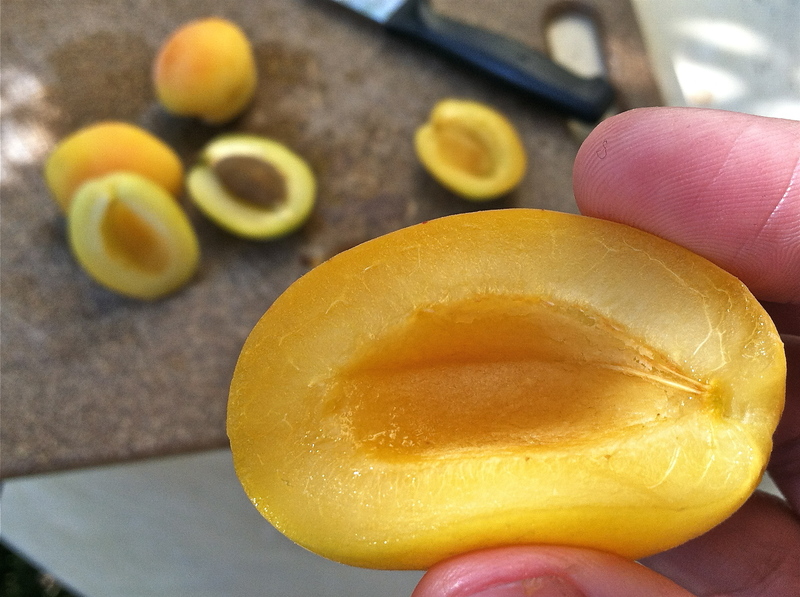 Like all good apricots, they’re easy to cut and the pit is easy to remove. I ate two at one time, and then, a day later, when they had softened a little more, I ate the other two. Guess what they tasted like? Apricots! 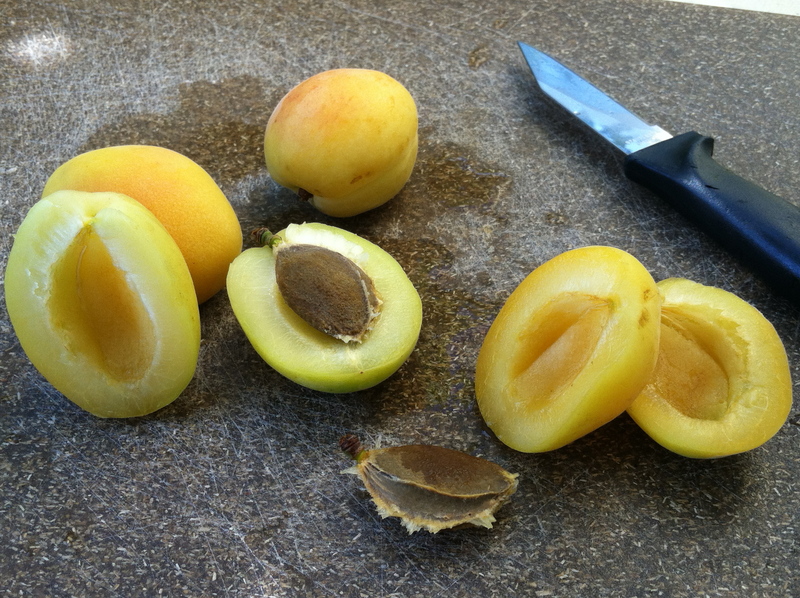 Maybe I had built them up too much in my head… but I couldn’t tell the difference between these and other apricots. Maybe I shouldn’t assume that fruit that’s rarer than a butter-churning bear and that’s solely grown in one location would be the tastiest thing I’ve ever put in my mouth. Or maybe these angelcots weren’t good examples of the majesty of their species. Or maybe it’s just a bad year for angelcots. 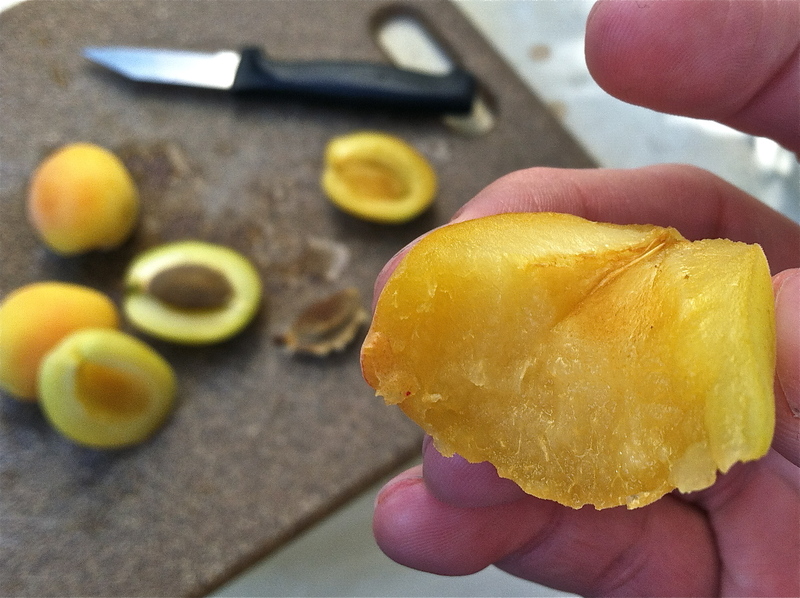 For the record, tasting like apricots is not a bad thing. I like apricots. They’re fantastic. If you see angelcots, you should give ’em a try. Hell, I might even buy them again if I see them. 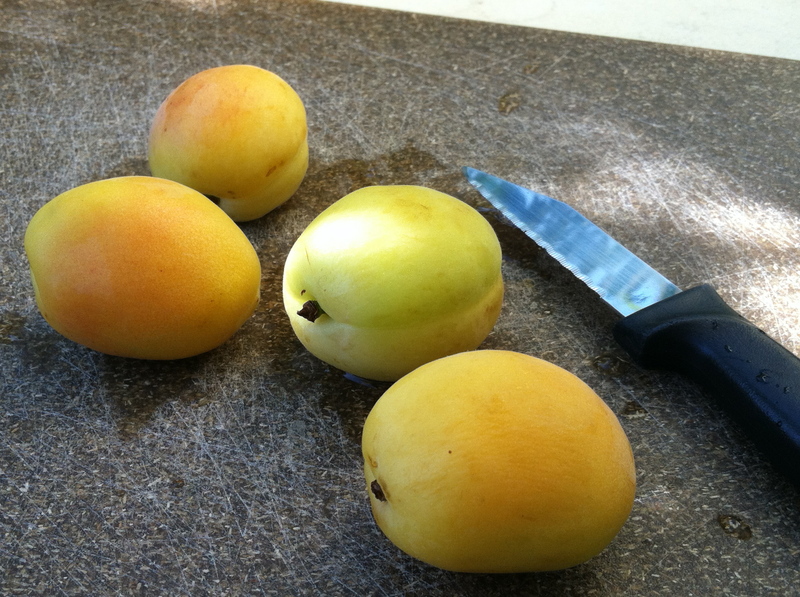 I’m just not going to expect much of a difference between them and any other apricot. This entry was posted on Tuesday, June 26th, 2012 at 10:34 pm and is filed under Uncategorized. You can follow any responses to this entry through the RSS 2.0 feed. You can leave a response, or trackback from your own site. Sometimes fruit is fruit! But who knows, they could be amazing in the right conditions. Organic, from a real farm somewhere. I came across your blog when I googled Angelcots. Just had some from Trader Joe’s and they were soooo juicy that they squirted when I cut them open. Try another batch from TJs if you can. I’ll take another look next time I’m at TJs. Thanks for stopping by!